I can’t believe that my last post in the hybrid hub has been more than two months ago, but here I am back, finally managing to present you with another one of my very early creations. 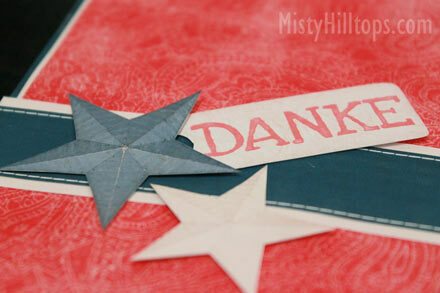 This is a card with a fairly simple design, using Julie Billingsley’s “Home of the Brave” digital scrapbooking kit. 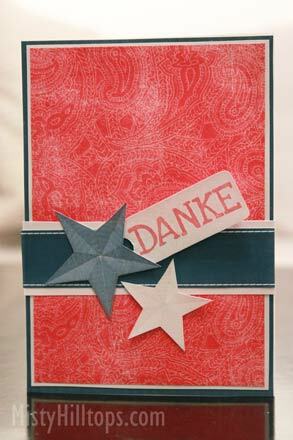 The kit goes with a 4th of July – all American theme, but that didn’t stop me from using it in a more generic way for this card. Basically, I attached three layers for the background added a two-layer strip, two stars and a label with the sentiment. That’s all it takes to get a quick card made.